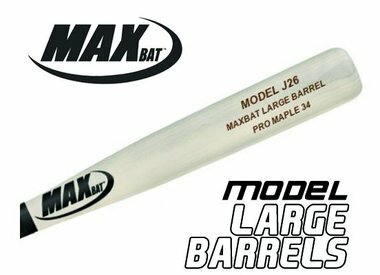 USE THE MAXBAT BAT BUILDER HERE AND FILL OUT YOUR ORDER IN OUR WEBSTORE! These pro model bats are cut one at a time, from only the best Rock Maple, Yellow Birch and Northern White Ash wood available*. 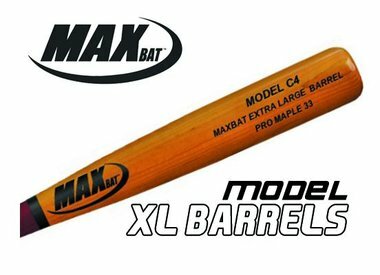 All our bats are manufactured to our extreme professional standards and feature complete customization including wood species, length, weight, barrel color, handle color, logo color, and engraving. In 2009, MLB mandated that all Maple and Birch bats, destined for a pro player, needed to pass an ink-spot test. When the ink is placed on the bat handle 12"-14" from the knob, it bleeds into the non-visible tangential grains. The straighter the grain, the stronger the wood. 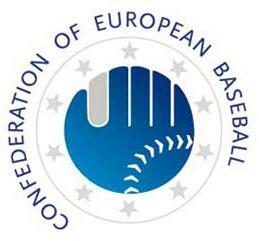 The Major League acceptable "grain slope" is 3 degrees or less. 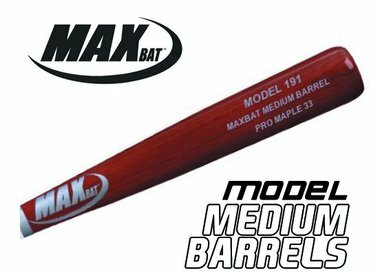 All MaxBat Maple and Birch Pro Series bats pass this test, and our acceptable grain slope is no more than 2 degrees.